A true genetic dwarf which was introduced by the National Arboretum. 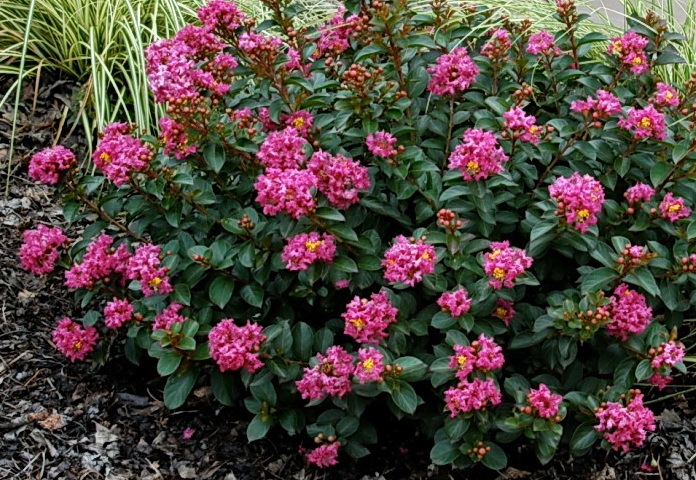 Nice bright pink blooms with a dark green oval shape..
Nandinas and Azaleas looking really good right now..
Large red flowers all summer into early Fall. We grow these from seed collected from our old specimens growing at our place. Grows most anywhere in light high shade to full sun and grows well even in very wet areas. We have several vaieties of Mahonia. Wonderful plants for shady areas. Many have yellow flowers and blue berries in the Fall. We grow all of our our palms right here from time proven cold hardy specimens. Large 3 gallon plants the week of 4-4-19 The greenish flowerheads will be turning pure white shortly. Shown as 3 gallon plant and after a few years planted in ground. 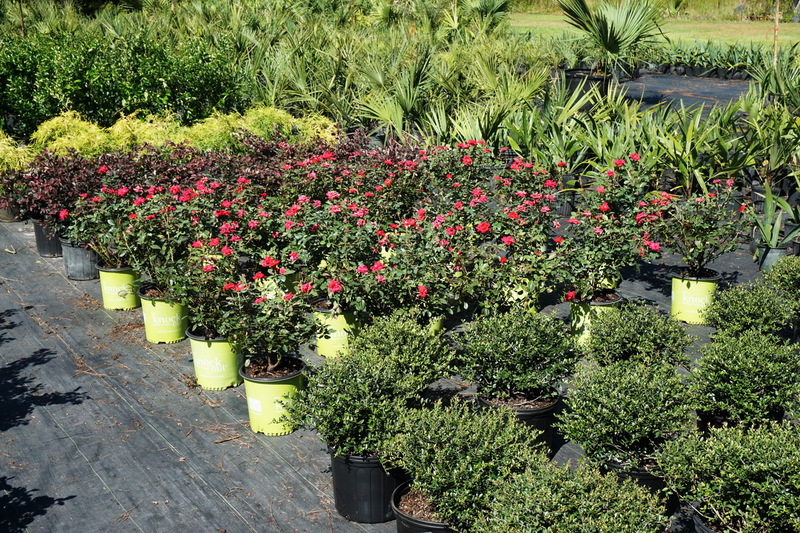 Very nice large full plants in 3 gallon Containers just now leafing out.